The T6-LBAC-SBC-SQALU Table Box (Square Aluminum Cover) from FSR is designed to provide power, data, video or audio access in work surfaces with thicknesses ranging from 0.75 to 2.25". The unit also includes keystone areas that can be populated with a variety of connectors of your choice, allowing for custom development. Snap-style keystone connectors and blanks are separately available to facilitate customization. This box includes the T6-LB-AC3 large section bracket providing 3 AC outlets, T6-LB-CP Cable Pull large bracket and the T6-SB-CP Cable Pull small bracket. 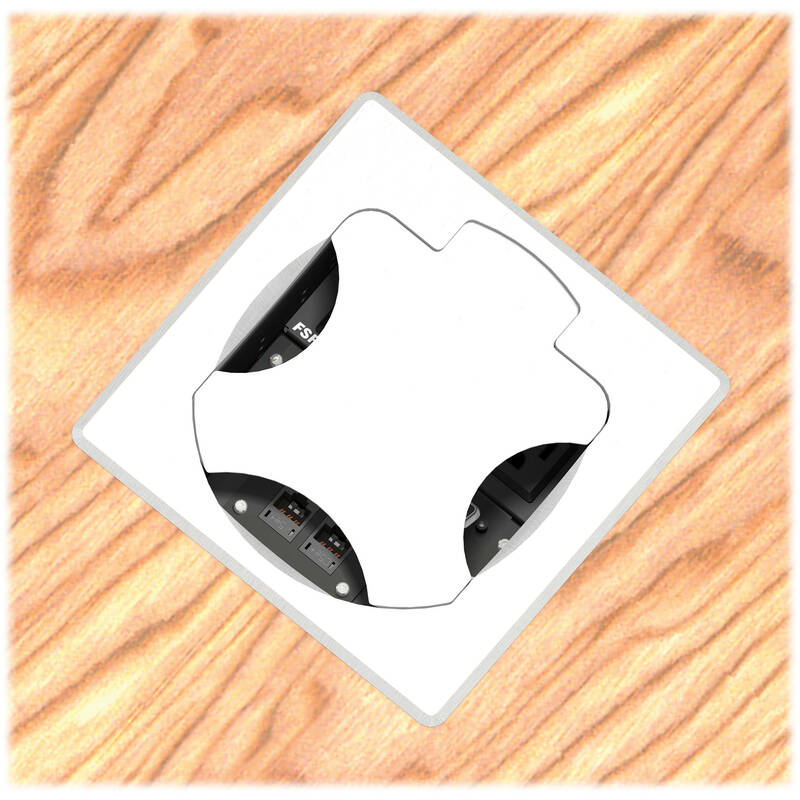 Can be mounted in a wide variety of tables with thicknesses ranging from 0.75 to 2.25"